8 pm – Casino Night: Win an HDTV! 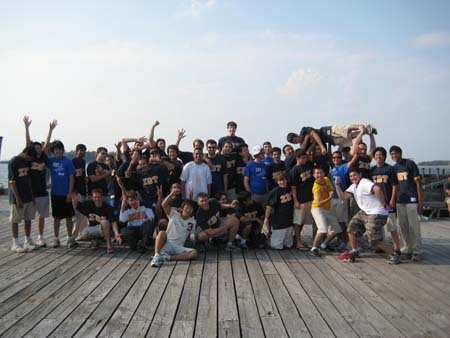 Rush is a week-long period at the start of the school year at MIT, when freshmen get to meet us and see all of the other fraternities and living options available to them. We have all sorts of activities and mountains of FREE FOOD available for Rush, giving the freshmen the chance to really get to know us and have a fun time doing so. Check the rush schedule from this year posted below for an idea of what sorts of activities we do. Rush is an exciting time, but it's important to take it seriously - the decisions you make during Rush will have a lasting impact! We are confident you won't regret the choice to join ZBT! Why should you come out for rush? Sure, you'll have problem sets. So do we. But we also have lots of free lobster dinners for you. We have loads of great activities lined up. We guarantee you'll have a great time. But the most important reason you should come out for rush is that it might give you the chance to become a brother of ZBT. 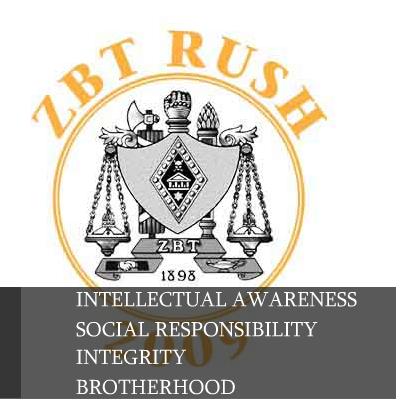 Look around the website, come over to our house, or chat with some of the brothers and you'll soon learn why ZBT is known as the Powerhouse of Excellence.